Belief is the conviction that one already knows; learning, in contrast, requires an awareness that one has yet to know. This is what happens when a mania for belief takes over your life. Eventually, you become incapable of learning. New information goes in one ear and out the other — it literally just does not register, as the mind, addicted to belief, blocks it out. While the original context of the comment had nothing to do with Scouting, I certainly think it applies to some volunteers in our movement. Too many Scouters come in to Boy Scouts with the belief that they know how the Scouting program should work, and they apply the beliefs they have acquired in life. Often these have to do with their experiences in areas like business management, sports coaching, and even Cub Scouting. They do not have the awareness that Boy Scouting is different. It’s not obvious to them that Scouting is for the boys to learn and experience personal growth, leadership and citizenship and that it isn’t really about efficiency, optimum results or high performance. They’re not aware that they don’t know its methods and intricacies, and are not willing to learn these methods, because the paradigms they already know seem logical and sufficient to them. They verge on the example of a “toxic employee” in business. Training can help, but only those willing to heed what’s taught, and not view it through the lens of “these are nice ideas, but I know what I’m doing“. And the longer that a Scouter functions in a position without training, the less the chances are that training will have a positive impact. Do you recognize anyone in your troop like this? Is it possible to raise in such an individual the awareness that they don’t know what they think they know? I think it is, but it will take time. It’s important to recognize the damage that’s being done by this person’s actions. Usurping the Scouts’ authority is one of the telltale signs. Move the individual into a position where they can do less damage. This can be difficult if, for instance, he or she is in an assistant Scoutmaster position. The Scoutmaster and committee chair may need to collaborate and reassign the person to a committee role. If he is already “weaving from lane to lane,” it might be better to ask him to shift to a committee role that doesn’t directly involve working with the youth. He might even appreciate being recognized for the talent to take on such a role. 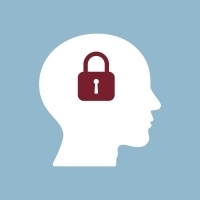 Training can help, and insisting on all registered adults be basic trained is a great policy, but keep in mind that training alone isn’t the panacea. One of the most effective ways to move toward a high-functioning troop is for the top leaders (Scoutmaster and committee chair) to be on the same page when it comes to faithfully upholding the Scouting program. A Scoutmaster who does not manage his assistants or the other adults can be as much at fault as someone who wants to do things her way. 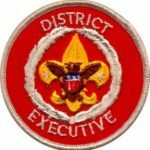 We need to be on the lookout for Scouters who fit the description of someone who believes he knows what he is doing but has a mental block when it comes to being open to learning, and find ways to redirect his or her efforts and enthusiasm toward the betterment of the Scouting experience for our youth.